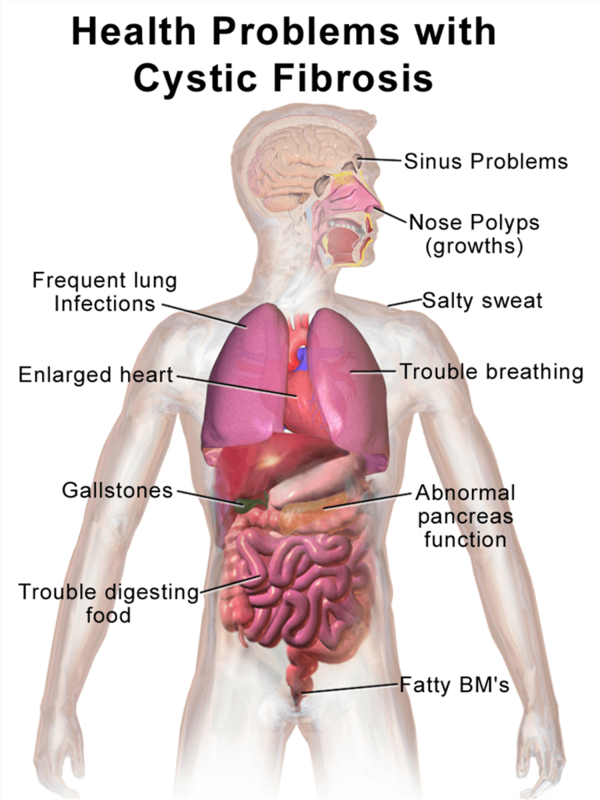 Cystic fibrosis deals with the inability to move water and salt across various organs throughout the body. As a result, people with cystic fibrosis also have symptoms related to lung disease and premature death. While this disease affects people across all cultural backgrounds, it specifically affects over one-thousand people of North European descent each and every year. It can also be diagnosed at different points in a person’s life. While some adults are diagnosed, some children as young as five months old have also been treated for this disease. Cystic Fibrosis Foundation points out the dangers of smoking and passive smoking to CF patients. Blue Tinted Visionary Super Powers? A fifteen-year-old adolescent boy with cystic fibrosis took part in this study where he reported having a blue tinted vision after extensive hypnotherapy sessions. Before seeing a hypnotherapist at the SUNY Upstate Medical University Pediatric Pulmonary Center, he complained about always having a shortness of breath along with excessive pain in his abdominal region. He was already on a number of medications that were prescribed to maintain his body weight. His parents were also open to alternative therapy since they were not financially able to take care of him and his younger sister who also had to deal with cystic fibrosis. There were a total of six children and the parents were financially strapped. 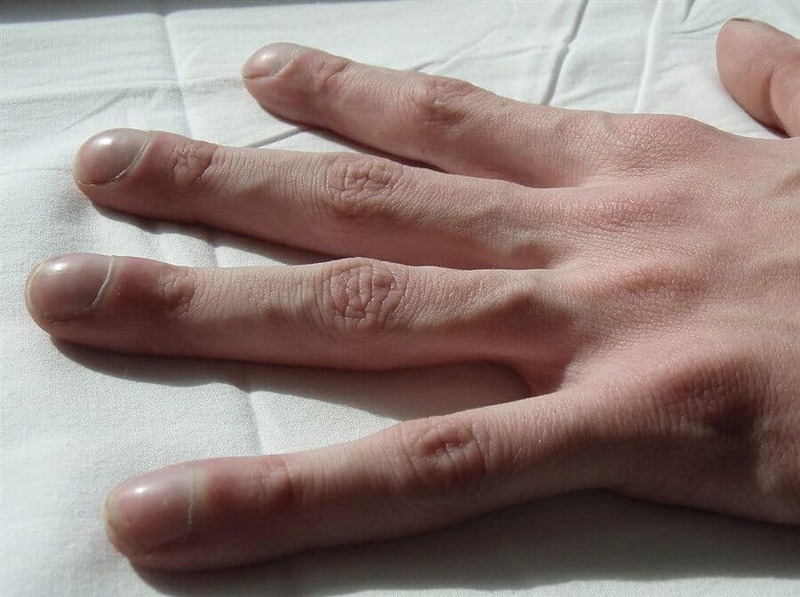 During his hypnotherapy induction sessions, he was able to use imagery to mimic two large magnets that represented how his hands came together without pain. Moving his hands in a calm sweeping motion allowed him to relax at a level he was unable to achieve before. The young man also was able to learn self-hypnosis in which she used to combat the excessive headaches. In this instance, he could imagine having a light that had healing effects that would move throughout his body. It was then that he remarks about seeing a bluish tint during his relaxation practices. The resource center followed this young man for over 7 years after his initial sessions. The issue with the tinted vision never seemed to go away and always happiness a result of his self-hypnosis. Researchers concluded that the different colored vision could be a side effect which was rare due to the fact that this gentleman’s blood pressure was significantly lowered while he also experienced an increased circulation throughout his whole body. There were no damaging side effects, however, so the young man continued with his self-hypnosis. A twenty-year-old man participated in this study to see whether or not clinical hypnosis could be used to deal with certain aspects of his advanced cystic fibrosis. He had come to the clinic after he had a near-death experience and which he coughed up large amounts of blood, which required that he be connected to a ventilator for a week followed by significant rehabilitation. This young man also mentioned that he kept having recurring night terrors in which he thought he would die in his sleep after coughing up massive amounts of blood. This ongoing scenario kept disrupting his sleep patterns as he woke up at least 5 times each night. This ongoing fear let him to also believe that he could die at any moment whenever he felt tightness in his chest. Luckily for this patient, he had a previous relationship with the center in which he had been taught relaxation methods two years before current belt of anxiety. This gentleman mention that he was able to calm himself down and other scenarios, but after the most recent bout with anxiety, he felt that he could not come down no matter what he tried. He was given the suggestion to envision his heartbeat as a metronome which was constantly sending a steady and relaxing beat. As a result, this imagery gave this young man the level of well-being that he sorely needed. Lastly, another visioning technique was used to help manage his subconscious mind that was keeping him awake at night. There were instructions to raise his index finger whenever he felt that he was going to abruptly wake during a restful sleep. Whenever he felt his finger being raced, it was a trigger to let him know that everything was going to be okay. He was able to overcome the nagging question that had always haunted him in his dreams. There were two scenarios. The first scenario was when he survived while the other one he had passed away. The patient concluded that he had an overwhelming feeling that everything would work out the way it was supposed to and that gave him a high level of comfort with dealing with his ongoing stress in addition to overcoming those sleepless nights. It can be quite expensive to deal with this debilitating disease. There are a number of pancreatic enzymes that have to be consumed just to be able to effectively digest what has been eaten. Still, others may need insulin shots to treat diabetes as well. It has been reported that the yearly cost to treat this disease can be upwards to over $50,000. Hypnosis can be seen as an alternative treatment that can complement the medications that a person has to take. There is a lot of anxiety and stress and dealing with this disease and hypnosis can offer a person proper coping mechanisms. Last updated by Mark Barrus at April 28, 2017 . ‹ Can Clinical Hypnotherapy Be Used To Treat Dyspnea?